Book your CBT Training in Bristol which takes between 6-8 hours on one day. Compulsory Basic Training is the UK's legal requirement for any rider to get onto the road in Bristol. Compare all locations in Bristol with RideTo. What Is a Bristol CBT Test? Although often referred to as a CBT Test, in fact taking a CBT is a day of training. No test is involved in the day, however if you are unsafe in any of the 5 parts of the day then may be asked to come back another day for further training. Looking for information on CBT tests and can you take one or the 5 parts of a CBT then head over to our blog to ensure that you up to speed on everything regarding your CBT Training in Bristol. If you are looking for any further reason on why you should take your CBT in Bristol then head over to our guides section. 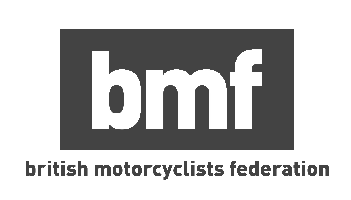 To take your motorcycle training in Bristol you will need a provisional licence or full driving licence to be able to book your CBT course and train for your CBT certificate. Where Can I Take CBT Training in Bristol? Bristol CBT Training locations are ideally located, slightly away from the busy town roads and into the quieter residential roads. After training and passing your CBT test, you may face the busy roads of Victoria street or aim to become a master navigator of the heart of the city, at RideTo we will ensure that you get the best training available in the comfort of nearby quieter streets. A great place to start is practicing on the roads of Keynsham and Willsbridge where your will find it much easier to practice your U-Turns and emergency stops. Or maybe you would prefer south of the city in the seaside town of Clevedon or near by in Kenn. Should I Train on an Automatic or Manual? Whether you choose to ride on an automatic or manual moped or motorcycle you will ‘legally’ be allowed to ride on either type of bike once you have completed your cbt. However, as the objective of CBT Training is to ride safely then we recommend training on the type of bike you ride once you have your CBT bike licence. How Much Does a CBT Cost in Bristol? CBT Training costs vary from location to location. This is due to differing fixed costs for the instructors with regards to rental and purchase of equipment and premises. That’s why at RideTo we make sure that you can compare on price, cost, location, facilities and reviews. Can I Ride a 500cc on a CBT in Bristol? On a CBT licence you will be able to ride a 125cc moped, scooter or motorcycle or less, always displaying L plates with no passengers or going on motorways. If you are looking to ride a larger motorcycle then you will need to take your full motorcycle licence in Bristol. After the completion of your CBT certificate you will need to take your theory test which comprises of a multiple choice and a hazard perception test. Following this, you will need to take training for your A1 licence, A2 licence or full A licence, depending on your age.